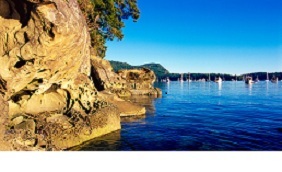 With Nanaimo Yacht Charters there are a couple of itinerary options for exploring the glorious Gulf Islands of British Columbia. Within the Gulf Island cluster, we have Gabriola Island, Galiano Island, Maybe Island, Pender Island, Salt Spring Island, and Saturna Island. 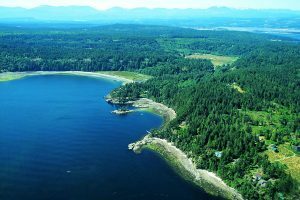 Situated in the Salish Sea, just off the coast of Nanaimo the Gulf Islands each have their own unique character whilst sharing the natural breath-taking beauty the region is renowned for. The people that live on the islands are an extremely diverse and creative bunch which makes the area great fun for visitors. You can find retired millionaires, spiritualists, writers, artists, musicians, cheesemakers and more! This eclectic mix of people means that the whole place is set to ‘island time’ which basically means sit back, relax, enjoy the scenery and don’t rush around. 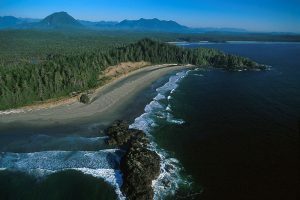 These islands sit along the eastern coastline of Vancouver Island and run from Saturna near the UC and Canada border, and up to Nanaimo. There are around half a dozen bigger islands and this is where you will find the before-mentioned residents, and then there are several-hundred smaller islands that are favourites for sea-sportsman, wildlife, and greenery! There are lots of activities to do across this sprawl of islands. If you are more of an active traveller you will enjoy the numerous biking, hiking, and kayaking opportunities that are around. There is also the opportunity to take part in more relaxing past times such as birdwatching, sunbathing, and beachcombing. If you are a keen photographer there is also plenty around to capture, with secluded orchards, sheep herds, and of course the amazing view of mountain trails. On the main islands there is also an impressive array of pubs, coffee shops and restaurants to sit back and enjoy the atmosphere. Art studios are another way to pass the time, as well as enjoying lots of fine local food to dine on, and terraces to sit on with a good book. Another super relaxed option is the various island spas and wellness centres where you can enjoy facilities such as reflexology, aromatherapy, mineral baths, sea-salt scrubs, and hydrotherapy. There are opportunities to try out yoga, or immerse yourself in a full blown meditation retreat. The water, the greenery, and the air is so relaxing you may find yourself feeling more spiritual than usual. 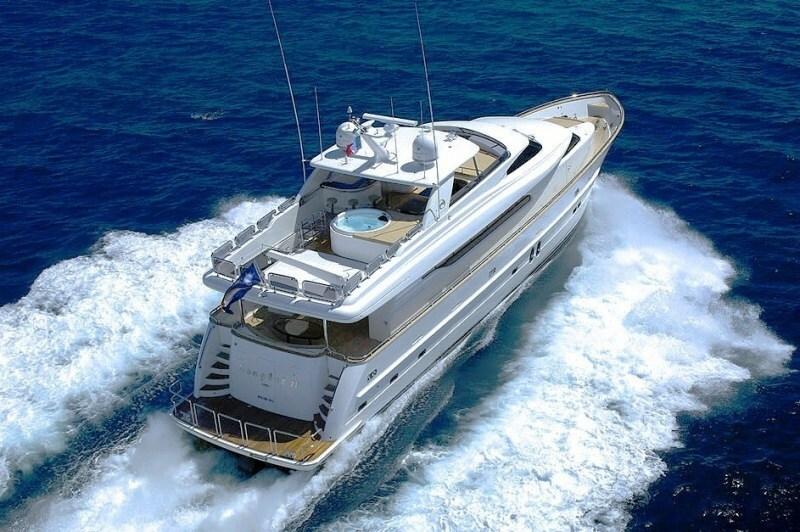 This exposure to the elements will really make your yachting holiday something special. 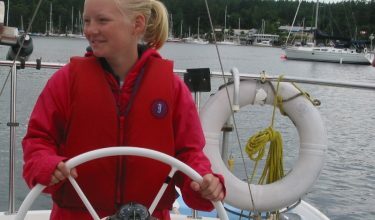 Combine your sailing holiday in Vancouver with another experience and make the most of your time in Canada. For the history lover among you there are also some really stunning old churches scattered around the islands, the ones in Salt Spring Island are particularly noteworthy. There are also a few museums that are quite well hidden, and so it is a good idea to do your research before you go if that is the kind of thing you enjoy. The area is blessed with a Mediterranean climate, and as a result is incredibly ecologically diverse. There are a number of rare bird species, fantastic marine life, and plant life. There is a National park Reserve which is comprised of an Ocean Park spread over 270 square miles, human inhabited areas, and the greenery. The ocean park mostly surrounds the larger islands, and separates Vancouver mainland from Victoria and the island. It is the climate, and the beauty of the natural environment encased in the shadow of two mountain chains that attract people to the area. The Spanish were one of the first settlers and that is where some of the island names come from, British settlers and some from Hawaii also followed. This interest does mean that the area become under threat from development, and especially the demand for waterfront property has depleted habitats for sea lions and other species. Conservation groups work to ensure disruption is limited, and many areas are now protected. It is best to go in the warm season between June and October. Now with Nanaimo it is possible to explore most of the 6 main islands of the Gulf Island collective. One of our most popular routes, this trip will most certainly be one you will never forget. Each island has such a unique feel, there is something for everyone. You will undoubtedly sail away (as opposed to walk) with your own favourite, and part of the fun is finding which area makes you tick. Have a great holiday sailing in Vancouver.